Our lovely local Forever consultant, Dawn Swinley, has offered a fantastic goodie bag for our giveaway. It contains an Aloe shield, a moisturising lotion, a lip balm and a £5 gift voucher. Dawn is a northern lass living in Gloucester with her beauiful family, Casper and twin teenagers Matt and Laura and not forgetting their black lab Mckenzie, 2 guinea pigs and now the fish! She started her business over four years ago as she wanted to be a stay at home mum but also wanted an extra income, Forever just fitted the bill. Dawn loves the products and loves the benefits of them. She said, "I truly believe that what you use on a daily basis is paramount in maintaining healthy skin, hair, nails and more importantly staying healthy from the inside out, yes you drink it aswell." 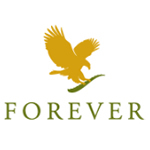 Find out more about Forever here. To enter see the giveaway rules here. Buy an In the Stillness CD by D7 Band and get an In the Stillness Songbook PDF for free. To claim your free songbook post a photo of you smiling with your In the Stillness CD on our Facebook page and I will send you the songbook as a thank you. If you have something you would like to contribute to our Massive Christmas Giveaway please let me know. Giveaway #5 coming soon so keep a look out.